This is perhaps the newest of all truss bridges to appear on these pages. Construction and guard railing details seem to date this bridge to the late mid 1950's ('56-'57). 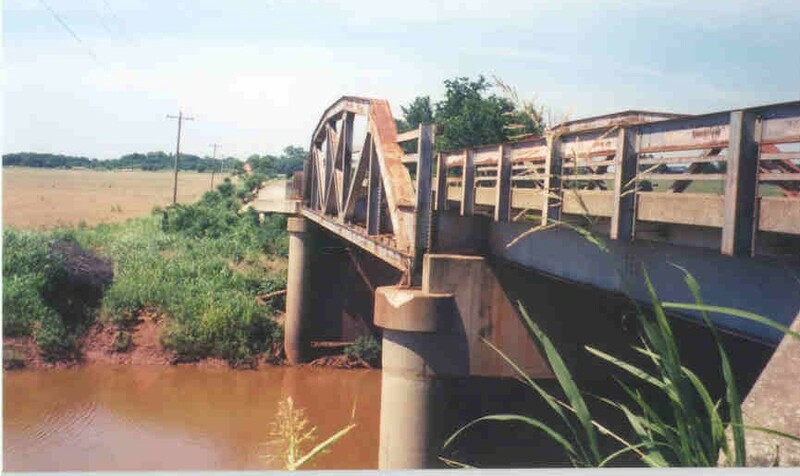 The main span is the standard reliable 100 foot long pony truss bridge that was used with great frequency around the state. The steel beam approaches are about 50 feet long. Many of you who drive OK 151 and OK 51 and pay attention will without a doubt recognize the guard rails of the approaches of this bridge as the same on that routes' overpasses and ramps. 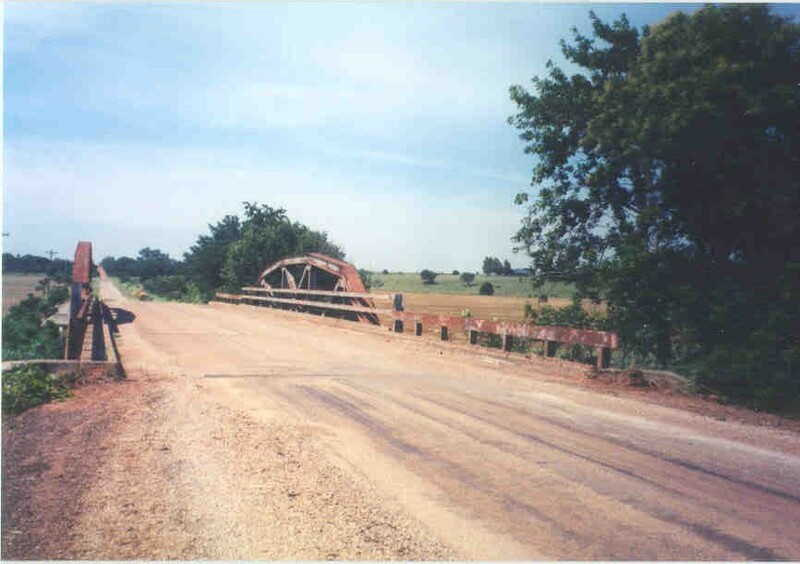 The bridge has no posted limits and is full width.